Throughout the world there are close to 800,000 people dying each year from suicide, which is one person every 40 seconds. Suicide is known as Australia’s silent killer. Suicide is still considered a taboo subject and surrounded by stigma and shame which is preventing people from seeing assistance or discussing the issue. There are often warning signs for suicide and the more people are aware of them the more can be done to prevent self-harm. There are resources available to assist but often it is often only when the issue of suicide is at a crisis point that help is sought. Identifying suicidal warning signs and finding appropriate assistance can save lives. Suicide is the leading cause of death for both adult males and females aged 15 – 44 years. Every day about 8 Australians die by suicide and an attempt is made every 7 minutes. For every death by suicide, it is estimated that as many as 30 people attempt to end their lives. The estimate of suicide attempts each year is over 65,000. The 2017 Australian Bureau of Statistics (ABS) reports 3,128 people died from suicide, which is a 9.1% increase over the previous year. More than 3 out of every 4 deaths from suicide are male. There are more suicide attempts made by females than males. In the 2009-2010 financial year, 62.4% of those who were hospitalised due to self-harm were female. Each year there are more deaths from suicide than there are road accidents. Suicide costs our nation more than $17 billion every year. Regional and rural areas are at greater risk. The rate of Aboriginal and Torres Strait Islander suicide remains twice as high as the general population. Studies recognise the LGBTIQ community is at higher risk of suicidal behaviours. 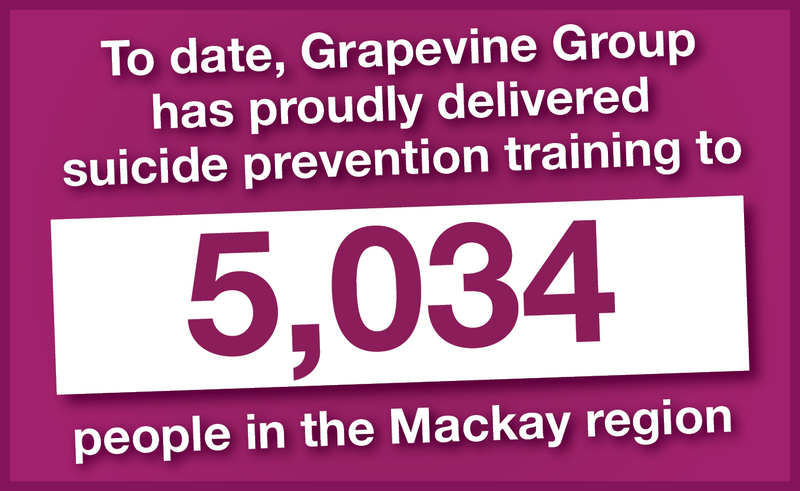 The Mackay region has a high rate of suicide. 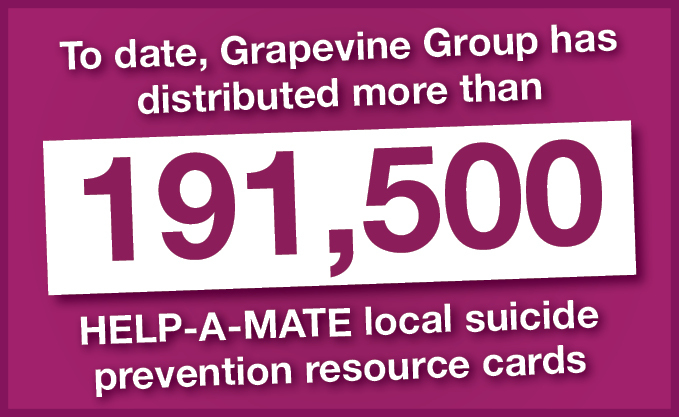 Identifying suicide warning signs and finding appropriate assistance has been proven to save lives!